Keep your computer up and running by bringing it to our repair shop. At Datafix Inc, we not only repair your PCs and laptops, we also provide computer maintenance to prevent future breakdowns. Count on our dependable computer technicians to correct the existing issue and get your device back to proper functioning condition. 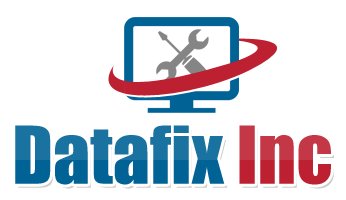 Get your computer back to prime condition with help from the highly skilled technicians at Datafix Inc in Little Rock, Arkansas. We offer full range of services, from computer repair to virus removal—all at competitive rates. When you're having technical problems with your printers, scanners, or networks, please call us right away. We also work on large ink jet printers, high-speed scanners, and plotters, among other devices. Yes, even typewriters. In business since 1979, we continue to provide prompt repair services to commercial and residential clients. We are one of the longest running businesses in town. Our many years of service have made us experts in this industry. Don't worry if your device is outdated; we are happy to repair older computer and printer models. Datafix Inc is authorized to perform repair services on Epson™, Okidata™, Fujitsu™, and Canon™ products.